What a Wonderful Christmas 2011! What a wonderful Christmas we had! All the kids, my parents, and my wonderful husband were home. It was a little different this year, as our family has been scattered everywhere, but at least everyone was here for a few days during the holidays. That is truly something to be grateful for. December 16, everyone started to trickle in. Ashley and Jeremy were the last to come since they had to work on Christmas Eve. They arrived late that evening, and pretty much as soon as they came, we did the gift thing. We were up til after midnight talking and enjoying each other's company. Since Ashley's birthday is the day after Christmas and they had to leave early that morning, I went ahead and gave her her bday present early. 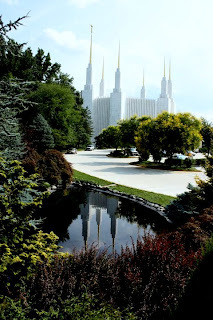 The next morning, we had the privilege to attend church. Since Christmas fell on a Sunday, what better way to celebrate our Savior's birth! As soon as we came home, we tried taking some family pictures. We did the set the timer thing, so they weren't the best pictures, but I finally was able to get an ok one. I think next time, I won't wear solid black, as it looks like I have no arms. I promise you, I have arms, lol. I would have loved to go outside for pictures, but it was raining. Sox wanted to get in on the action too. She usually doesn't like to get her picture taken, but since everyone else was, she just hopped right onto Nannie's lap. My three boys scattered the second we were done with the family picture. They really didn't want to take pictures in the first place. After we finished with pictures, and got into more comfortable clothes, it was time to head to the kitchen. Usually, we have pretty much the same thing we have for Thanksgiving; turkey, stuffing, mash potatoes and gravy, mac and cheese, green bean casserole, sweet potato casserole, apple salad, rolls, and pumkin pie. Since we had church Christmas morning I decided to simplify it. I cooked a glazed ham, and we had apple salad, baked sweet potatoes and regular baked potatoes, Autumn salad, rolls, crock pot gluten free macaroni and cheese, cherry pie, and pumpkin pie. I could pretty much put everything in the oven/crock pot, and let it do it's job. Less work for the cook! And...everything was a success! Don't you just love the salt and pepper shakers Scott got me? After dinner, we all just sat around and chilled. Pretty soon, it's just going to be me, Miles and Benjamin, and back to our same ole routine...trying to sell our house! (I'm sure you all will be glad when we do, so you won't have to hear about it anymore). Well, here's hoping that everyone had a great Christmas! Every year at this time, we all are thinking about our goals for the coming year. At the top of my list are loosing weight, becoming more organized, and this year, I've added two more; moving and improving my photography skills. Losing weight, has been a long battle for me in the last say, 23 years (since I started having children). Being more organized, that has it's ups and downs too. The moving goal, well there is not much I can do about that, and when it does happen, that will take care of my getting more organized. Improving my photography skills, well, that is something I can start working on now, and with each photo I take, it helps me to improve. Once we get moved, I plan to take some more classes, but in the mean time, I need to just take pictures...lots of them, but I think I really need to assign myself a specific assignment. So, for the next year, I plan to dedicate my blog to a weekly photo assignment. I have seen several bloggers do this, in fact, I have a pretty good friend of mine that is doing it with several other ladies. I love looking at their Foto Fridays, so I decided to do something similar. I made a list of some ideas, and while they seem really good ideas, knowing that our family will someday very soon be uprooted and possibly living in a motel for who knows how long (til we find our house), I won't be able to commit to the every Friday thing. BUT! I can try. So that is what I pan to do. Each and every Friday, post something about my photography, using a theme of some sort. This week, since it is the close of 2011, my assignment will be...saying good-bye to 2011. It was a good year, mostly. We had mostly ups--graduations, wedding, travel, new job, etc. Gladly, nothing really bad, and I am grateful for that! The Bayou that runs through our neighborhood. And then just enjoying being at home. 2011, you have been a great and busy year. We will look back on you with wonderful memories. 2012, We hope you will be just as good if not better! For a few weeks, now, I have been trying to think of how to change our family's way of eating. Since I left on our first house hunting trip the beginning of October, I have been packing on the pounds. A pound here and a pound there quickly adds up on this small boned 5'4" body of mine. During the Christmas holiday, my mom and I sat down and did some discussing. Several years ago, I had been on LA Weight Loss and had great success. I lost 30 pounds, and never felt hungry. In fact, I had more than enough to eat, but in order to loose, I HAD to eat ALL the food. I kept it off for quite awhile, until, that is, we moved to Louisiana. One thing I need is accountability. The reason LA Weight Loss worked so well for me, is that I knew three days a week, I was going in to be weighed and counselled. I feel that Weight Watchers success is partly because of this too. The only problem with Weight Watchers, is that because I am under 150 pounds, the point system failed me. I was always hungry, as the points were not enough for me. Anyway...Accountability! As I said before, I lost a lot of weight with LA Weight Loss. I kept going in each week and weighing in to make sure it stayed off. They even contacted me about being one of their success stories. Then, we found out we were moving...to Louisiana. I was assured that I could transfer my membership, but to make a long story short, that was not the case. I had to rejoin and pay the expensive fee in order to stay a member here. I did not need to loose any weight, and so therefore, couldn't join, even if I wanted to. I tried my best to be accountable to myself, but was not very successful, especially with all the wonderful food here in Louisiana. Within two months, I was almost back to my heavy weight. Fast forward four years; my weight has been up and down, and I am tired of it. So, after I enjoy my New Year's Black Eyed Peas, I will be starting back on LA Weight Loss. This time, though, instead of being accountable to them, I will be accountable to my mom, as she will be doing it too. She lives in Florida, so this will be a long distance accountability. My goal? Well, I am starting out at 20 pounds. Now, I know this is going to be hard with the move coming up and all, as we probably will be living in a motel for a while. I've done this before, and usually, this is my beginning of gaining weight after I lost it. One of the benefits of my husband's new job is a discounted membership at the local YMCA. This particular YMCA is one of the best. They have a pool (outside during the summer and inside during the winter), weight room, basketball courts, racquet ball courts, and numerous classes. I am really looking forward to it, especially the Zumba, Pilates, swimming, circuit training, and racquet ball. In addition to the Tia Chi class they offer at the local community college. I figured, if the schedule works out, I can do one of these activities or classes everyday. That will not only keep me from getting bored, but also keep my muscles guessing. Hopefully, this time, I will have a very long term success!!! Target has long been one of my favorite places to shop. Most stores are clean, spacious, and have some pretty neat things. A friend of my has told me, though, of some of her not so good experiences at the store. I tended to brush them off, until yesterday. I did some extensive Christmas shopping at Target this year. One of the things I bought were jeans for my three boys. They are really hard to fit, as they are thin around the waist, but have athletic thighs. They hate the new skinny jeans, and while I was shopping at Target, I noticed the Levi Denizen jeans. Upon inspection, I figured the 299's would probably be perfect for them. I only bought one pair for each, as I was not sure I was getting the right size. Scott's fit him perfect, but Miles' was too long (yesterday, Ben still had not tried his on). Yesterday, my mom and I went out doing some after Christmas shopping. I took back the jeans, and had left the receipt at home. While my mom stood in the return line, I went and got the right size jeans. When we got to the counter I told the sales lady that I just wanted to exchange, and she asked for my receipt. I told her they were a gift, and she told me she could not help me, that I had to have a receipt. I clarified--" for an exchange?" She said, "Yes ma'm." I was confused and again told her I just wanted to exchange for a different size. Still she could not help me. She said I could get my money back---$3 less than what I paid for them (I had paid $20), and then I could repurchase them at $22. That made no since to me. I just wanted to exchange them. Nope, not happenin'. I had some Christmas cards in my hand that I was going to purchase, and I dropped them on the counter, and told her that I refuse to shop here, and that I was not ever shopping at Target again! Over comes a very young looking man, and says to me, "Now we don't throw things." as if I was his child. First off I did not throw them, I dropped them on the counter, and second, he needed to go back to where he came from and finish helping his customers. What I needed was to talk to a supervisor, which never occurred. As I was leaving with my too long pants, she says to me, "Ma'm, do you have the credit card it was purchased with?" I told her I did, and then all was well...I was able to exchanged without paying more. Now, why didn't she say that in the first place? Well, now Ben finally tried on his jeans, and guess what? I have to take them back. UGGGG! I really don't want to deal with them again. Maybe, I'll have him take them back. Wow! 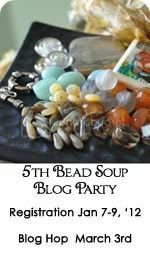 Can't believe another Bead Soup Blog Party is just around the corner. I've done this for the last two parties, and loved it! The last one was so popular that this time, it will be run by lottery. This makes me a bit nervous, as I'm usually one of those who never wins anything. Maybe I'll get lucky this time! If not, I'll still want to keep an eye on the blog hop, as I have always been inspired. For more information, hop on over to Lori Anderson's Pretty Things blog to get all the details. You can also check out the last two parties I was involved in by clicking here and here. What a gorgeous day it started out being. Temperatures were around 50 and the sun was shining. I was invited to a friend's house for a visit and hot chocolate, so I hopped in the car to drive to her house, and what I ran into truly made me sad! A pile of garbage lay in the middle of one of our neighborhood roads. My question is this....why do people have to clean out their trashy cars into the road? I know this is exactly what happened. I see it quite often in our town. Lazy people who cannot even bag up the trash in their cars into a Walmart bag and put-it-into a trash can. Last year, after a high school football game, we were headed out to our car, when I see a family, with young children, tossing trash out of their car, and then they drove away. I stood their speechless! Then I got angry! I do not understand, and boy, what a thing to teach your kids! Louisiana has the potential to be one of the most beautiful states, if not the most beautiful, but because we have such trashy, non carrying people who live here, we are one of, if not THE most trashiest state. As I ride down the roads of the state (and I've been all over the state), I see a lot of trash on the sides of the roads. I have even heard that because of this, Louisiana has lost out on some important businesses that looked into moving here. We as citizens and visitors to any place we go, have a responsibility to leave a place as good, if not better than how we found it. Whenever I went on hiking trips in the mountains, we always brought our trash back out with us, never leaving it behind. This makes it so much nicer for the people who come in behind us, and I really appreciate it when the people before me have done the same. This also includes not just the trash, but putting things away when are done, like the buggies at the store. Another pet peeve of mine is when one leaves their buggy just anywhere. Half the time you try to park, you cannot find a place because people have left their buggy in the parking places. AND you also find when you come back to your car, that a buggy has scratched up your car, etc. So selfish and lazy. In my opinion, the only ones who have an excuse to not take their buggies to the designated area, are those who have young children, or the elderly or handicapped who physically cannot, and those are few and far between. There is a store that we use to shop at in Indiana that had a really good idea (they have them now in Florida too). You have to pay a quarter to get your buggy, then when you were done, if you brought back your buggy, you got your quarter back. Ingenious! Guess what? All, and I do mean ALL buggies are ALWAYS put back. I think I have finally finalized our Christmas eats! Took long enough, but I have seen some most excellent dishes lately, and they have inspired me. Since we will be having church Christmas morning from 10 to 11, I figured we would have Gluten Free Impossible Easy Breakfast Bake and orange juice. It's still up for change, but I think this will pretty much be it. I've done the most of the shopping, just need to make one more run to Wally World to get fresh bananas. Can't wait for the crew to get here...our son from college will be here tomorrow, my parents will be here in two days, and my daughter and her husband a few days after that. It is going to be a wonderful time with everyone here! I'll have to say, we have the cutest, sweetest puppy dog in the whole world. Ok, well, I am a bit biased, and yes she isn't a puppy anymore, but she will always be my little puppy dog. Sox originally was my oldest son's dog, but after he left she adopted me. I don't mind, though, I fell in love with her the first time I set eyes on her. We adopted her from a no kill shelter when she was about nine weeks old. She weighed less than ten pounds. She now weighs about 45 pounds. 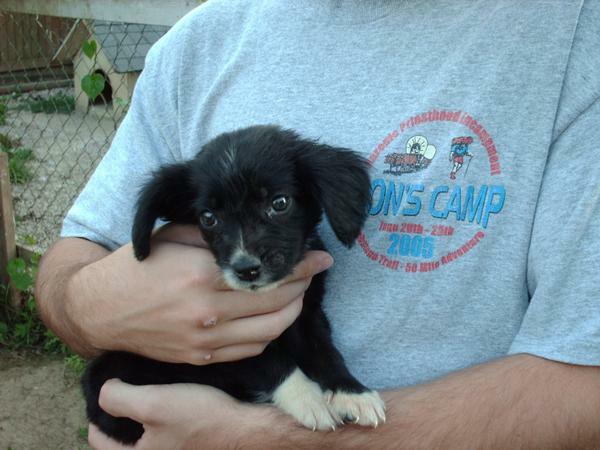 She was born in the shelter; her mother was part Bassett and Beagle, and her dad was part Australian Shepherd and some sort of Spaniel. Most people ask if she is part Border Collie, and I guess she kinda looks like a Border Collie with floppy ears. Along with her cute looks, is a really great personality. She loves people, and is very sweet. She is very smart, and you can tell she wants to please you. Even though she is five, she still loves to play and run in the yard. She probably would have made a good herder, I can tell by the way she runs. Usually she is always in the same room as I am, but lately, she has made herself comfortable in the front room. You see, the neighbors have a really pretty Christmas light display and Sox sits on the bed and stares out the window at the lights. Lately, we have been getting a lot of packages. Most of them are ones that I know about, but today, that was not the case. I guess UPS sneaked up on his golf cart without Sox or me noticing, because when a neighbor came over for a sec, there was a big box at our front door. Well, I'm the only one home right now, but no one is suppose to be here til late, so I went ahead and opened the big box. Mom's can do that sorta thing. WOW!!! My sister sent us a bunch of different flavored popcorn. Glad I opened it now, because I can police it. There are all kinds of flavors...zebra, cheddar cheese, strawberry and cream, caramel, kettle, almond, pecan, etc. I guess this weekend we will just have to rent some movies and enjoy our popcorn! Good Friends Are The Best Gifts! This morning I went to play some Pokeno with the ladies in the neighborhood. They meet every month and have a great time. Since we are approaching Christmas, it was decided that we play "Dirty Santa" while playing the game. Every time someone pokenoed, then they got to pick a gift, and so forth. We played for several hours, and many of the gifts went around and around. I immediately had my eye on one of the gifts, as it reminded me of my kids; four snowman heads stacked upon each other. In my mind I saw my kids in order, from bottom to top; Miles, Ashley, Scott and Benjamin. There were other nice gifts too, and any of them would have been a wonderful thing to bring home. At the end I did not end up with the snowmen, but that was ok, as I had some really pretty angels. Was I ever surprised, though, when the lady who wound up with the snowmen came up to me and handed them over. I said, "oh, you want to trade?" She replied, "no, I just want you to have them." She really didn't have to do it, but I know she wanted to. She really made my day. What a nice gift--to have friends like that! Most of the country is battling the cold, the snow, the yuck! Growing up in Florida, I remember Christmas day being the time that EVERY child was outside riding his or her new bike, or rollerskating down the sidewalk with their new skates; and I do mean SKATES, not roller blades. You know, the one's with the key? Anyway...I'm dating myself. We lived in an area that actually got white Christmases for a few years. I much rather go to the beach on Christmas Day! Here in Louisiana, we also enjoy some warm weather. Not as warm as Florida, but still, compared to most of the rest of the country it is warm. Yesterday, it was in the mid 50's, today...62, tomorrow...74! Not sure when it is actually going to cool down, but I'm sure it will pretty soon. I think Friday it is suppose to be 55. I really prefer warm SUNNY weather, but warm cloudy weather is fine too. Yesterday it was sunny, today--not so much. I strolled around our yard to see what was going on with our plants, and saw that some were still trying to bloom. Even my loquats had a few blooms. I love the South and am grateful to be able to live and enjoy it's beauty. I love to take pictures. I remember when my kids were young, the family use to joke that they were the world's most photographed children, and they probably were. I use to take them in to get their portraits done; every three months before they turned a year, then one at 18 months, and then once a year afterward. I love looking through all my pictures and scrapbooks, reminiscing of all the fun times we had when they were young. Boy, how I miss those days. For years, I took pictures with film, then when digital came to be I went wild! What an invention!! I can take as many pictures as I want. If they don't come out, then I can just delete them. A couple years ago, I decided I wanted to upgrade to a digital SLR camera. After much investigating, my husband bought me a Canon Rebel. How I love that camera. It is pretty much idiot proof. Immediately, I started pointing the camera at everyone and everything. About two weeks after I got my camera, a friend of mine got married. I knew they could not afford a photographer, so I asked if she mind if I came and took pictures. She seemed to be very excited, and so for their wedding present, I took all their pictures, put them on a disc for them to keep. In addition, I made a copy of one of the pictures and framed it for them. I also put together a montage of the pictures set to music for them to enjoy later on. As I prepared these pictures to give to them, I could see that I might have some potential later on to maybe go into business. As the summer was coming to a close, I realized that I could be taking my son's senior pictures. When my two older children graduated, I took them to a professional photographer, and got a few pictures. I could not afford to get all the wonderful pictures he took and have been very sad about that for years. We had taken a trip to visit with my family in Florida, so I took Scott to the beach for a senior photo session. It was a very hot and humid July morning, and I forgot to bring a towel to dry off the sweat beads, so I had to do some editing with most of the pictures, but they came out great. During this same trip, I was at my sister's house and she has two of the most precious boys you will ever find. Both are autistic, and very hard to photograph. I just started taking random pictures and got a really cute one of her youngest. We were celebrating all the August birthdays in the family (we have a lot! ), so that explains the cake filled fingers. In the fall I had a friend of mine who needed some family pictures for their Christmas cards, and I asked if I could do them. I was trying to get some experience under my belt. We went out to the bayou and again, I was very pleased. Soon, we were celebrating the engagement of our daughter, so I used that as an excuse to fly out to Utah to visit and to take their engagement pictures. WOW, what a fun time we had! Pretty soon, it seemed that everyone was getting engaged. Lately, I have had the opportunity to do several family photo shoots. Not only do I like to take pictures of people. I also like to take pictures of places and things. Something else I've gotten into is something I call AlphaPix. You can find these type things online or at your local craft store, but, boy, are they pricey!